It is so important to rest and unwind every now and then, and there is no better place to do this than somewhere comfortable and quirky in your own home. Although a soft armchair or sofa can often do the trick, there is something romantic about lounging on a window seat that has been specially made to be both luxurious and sturdy. Do you plan to install a new internal or external door? We provide the comprehensive range of related services, including designing, manufacturing, delivering and installing. Are you searching where to restore old sash windows to maintain authentic look of your property? 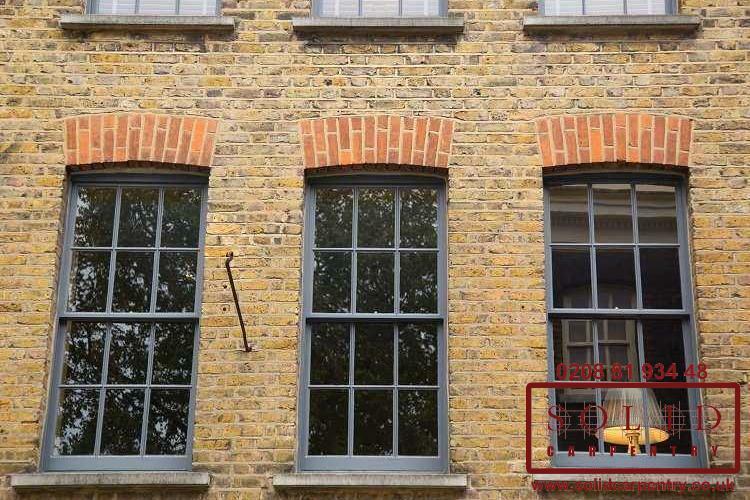 We are ready to offer professional wooden sash windows repair, restoration and replacement in London to meet the needs of both residential and commercial clients. Are you looking for London carpentry professionals to repair or replace sash windows within your house? Solid Carpentry is ready to meet any your related requirements. Do you need high-quality, attractive and stylish hardwood front doors for your residential or commercial premises located in London? Welcome to Solid Carpentry. Solid Carpentry is an ideal choice for those looking for a reliable carpentry company that manufactures and installs wooden box sash windows in London and surrounding areas. With bespoke wooden front doors from Solid Carpentry you can easily meet both your goals - make your entry look stylish and elegant while ensuring its ultimate protection.